We ship Tanjore, Warli, Metal embossing, Coffee painting to anywhere in the world. Please contact us csartcollections[at]gmail[dot]com to place an order. 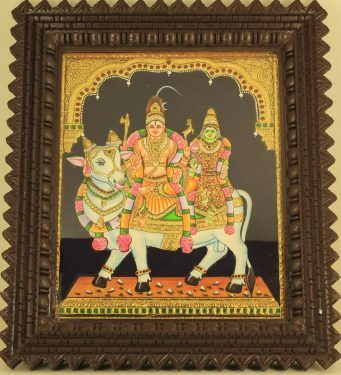 I really love tanjore painting here in this blog. 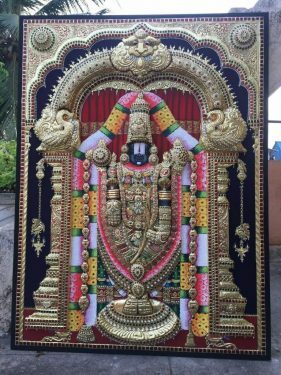 Image better than thousand words…..so it is give some happy feel..really wonder and appreciate you that reason is the Tanjore art ancient but you and also like same. i like to come to your class .. im staying near erode.. please send me the contact address to my mail id. hi shashi. i have done a coffee painting. i tried it for the frst tym some how it came out Okkk.. i have a doubt can we do a glass framing or a fiber framing for the coffee painting? does that work out? coz glass frame has its own beauty and attraction? ?can u plz tel me this? ur works r fantastic & wonderful. iam coimbatore and iam greatly interested in arts.soon i will contact u 4 learning some of tis works. I am very much interested in paintings and recently only i have gone through the arts section in your site. I want to learn Coffee Painting and Modern Art. So please let me know the details, if it is fine, if call her and ask for details. Please help me in this regard. Thanks Sashi! Please contact in the in the above number!! i want the details about fees for glass painting and also i need your address. i wish to join your class. Sakthi, please contact my sister in the number given, if not pls ping me back i’ll email you an alternate number. Please contact in the given number!! Rashmi, She doesnt take classes on Fabric painting. Please contact in the number given to get more details. Hi, I am from Erode… trying to contact your sister to join her classes… but i could not reach her…is there an alternate number. unable to contact her.. i m in erode only for 1 month.. want to use that month learning tanjore painting..
Saranya, contact her in the mobile number given, not sure abt the timings !!!! paintings what a beautiful paintings. coffee and you send me price details through mail b’coz if i want 2 buy so i can call and talk .I am also a craft mural works maker. Sankari, Thanks for the idea. I told my sister. Please email me at contact@sashirecipes.com if you want to request any special painting or want to know the cost. Hey the paintings are very beautiful and super… i want to join the class.. but i am not able to contact ur sister in that mobile no..
where are the classes? is it in the US? Pls let me know.Im very much interested in tryng my hand on metal embossing..
very nice n captivating work. Very beautiful paintings. Very talented. I have a small request. Could you please send me the tracing design of that marriage possession (in the metal embossing picture). I’m searching for that design since months in the internet but unable to find it. I’m currently not located in India.Kindly send me that design please. Thanks for ur lovely comment Rupa, I will convey it to my sister. Unfortunately, we wont share it with anyone unless u take the course. Sorry abt that, I have no control on it. Im just asking the tracing design for that.. Please help me.. I have asked many but did not get it from anywhere.. Atleast tell me any other sites from where i can get that design.Im presently in US so unfortunately i cant join the classes.. Kindly send me the design. Rupa, I understand that. I too live in US, I don’t have the trace with me and I don’t paint too. My sister who lives in India is the one who manages these. Sorry I don’t have control on her dealings. I have no idea if you can get it from any other websites. Don’t get me wrong, sorry I couldn’t help you. When browsing craft site i came across your request about marriage procession on metal embossing in this blog and reply from blogs owner. As i also very much instrested in crafts i want to help with designs. If u post ur email Id for this reply. Thanks Neha for sharing the info. !! which kind of shop, we get this golden anti rust liquid for metal emboss? hi sasi……am interested in learning abt arts…………..s ur sister taking classes now also??? Bhuvaneshwari, my sister is still taking the class. Contact her in the phone no. given to know about the timings. Chandana……does your sister take classes between 5:30 to 7.00 P.M on Monday,Tuesday and Wednesday. Chavi, she takes class from 10 AM – 6 PM on Mon – Sat. Contact her in mobile to get more details. ur works r fantastic & captivating. iam 4m tirupur and iam greatly interested in arts.soon i will contact u 4 learning some of tis works. Thanks Ishvarya. My sister is starting the classes now, if you are interested contact@ 9042101130 for more details. 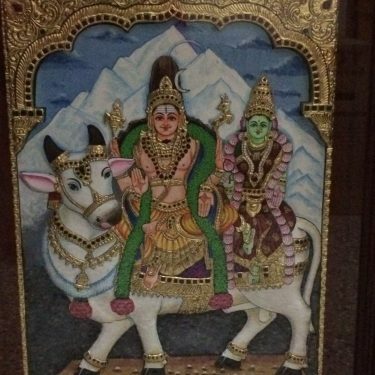 Lovely work akka,The other paintings look good except for the tanjore.I mean,I wouldn’t say it is not nice,but the face kind of lacks any attraction (thamizha yeerpu). Thanks for ur lovely comments Chandana. 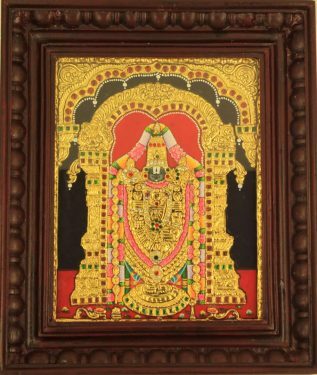 The tanjore painting outline was done by an artist, probably when she tries for the next time I will ask her to take this into consideration. 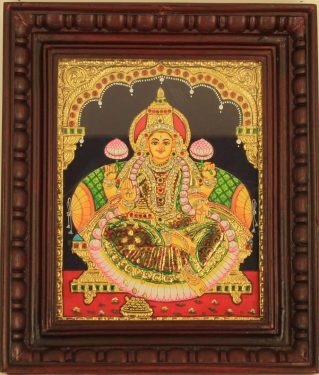 lovely work..I too do some tanjore painting..i absolutely love that art form.. Thanks Sheba for ur true words. My sister would be happy to hear this. romba neeram tamila type panna mudiyala. finally, do you have recipies for bachelors. I could use only one of my own and still couldnt make a good taste. I havent browsed your site (just few pages)… may be if you could post that would be nice… i hope that many people would browse for recipies… myself… seldom. people like you are out there… thats nice… we would be every where (future tense)… (regardless of the janathogai)… huh huh huh…. Vikku, Thanks. BTW, I never thought of putting a separate section for Bachelors. But I do have recipes for you guys.Sure, I will keep this in mind hereafter. Nice paintings ya. Both of you have gud skills..